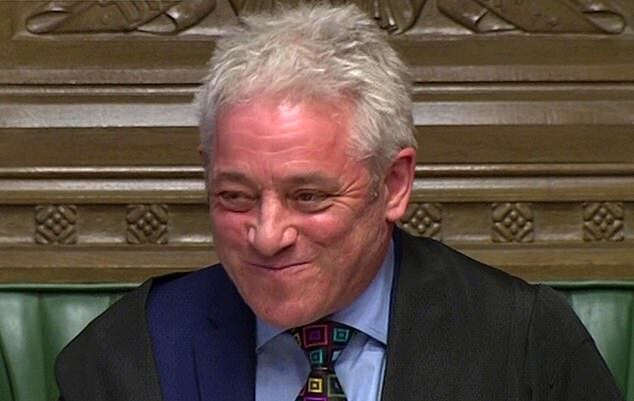 John Bercow was accused of trying to sabotage Brexit last night after he blocked another vote on Theresa May’s deal. In a dramatic intervention, the Commons Speaker ruled that the EU withdrawal agreement could not be put to a vote again without substantial changes. He gave Downing Street no notice of his announcement, which came just 24 hours before the Prime Minister was expected to ask the Commons to decide on the issue for a third time following two crushing defeats. As well as sparking a constitutional crisis, Mr Bercow’s move all but killed any prospect of a vote before Mrs May heads to an EU summit on Thursday. It also means she may have to ask Brussels for a delay of up to 20 months. A senior Government source said the Speaker, who is an outspoken critic of Brexit, wanted to wreck Mrs May’s plan of limiting the delay to three months. ‘It seems clear that the Speaker’s motive here is to rule out a meaningful vote this week,’ the source added. ‘It leads you to believe what he really wants is a longer extension, where Parliament will take over the process and force a softer form of Brexit. 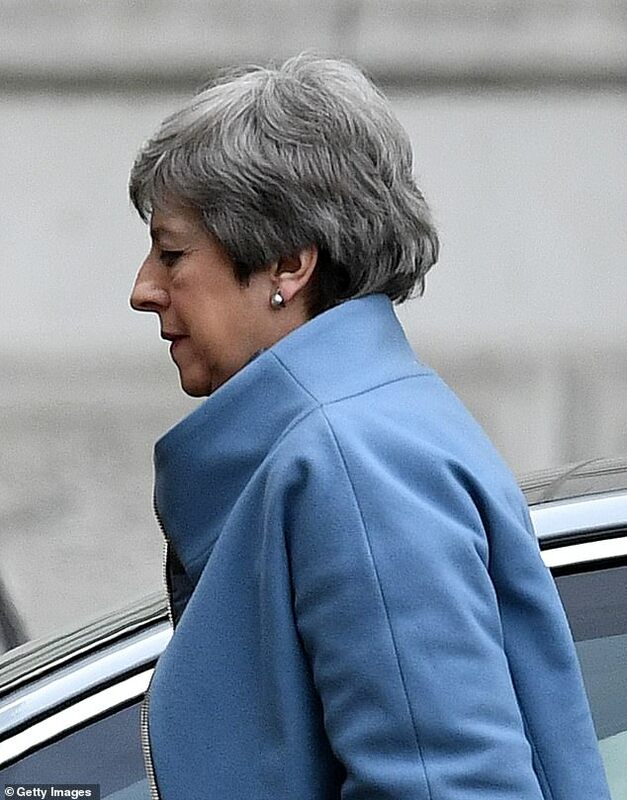 With just ten days to go until Britain is scheduled to leave the EU, the Prime Minister was last night locked in crisis talks with her closest advisers to try to come up with a new strategy. In a bleak assessment, solicitor general Robert Buckland said: ‘We’re in a major constitutional crisis here, a political crisis we want to try and solve for the country. ‘The Prime Minister’s doing everything she can to try to break that impasse. ‘There are ways around this – a prorogation of Parliament and a new session. We are talking about hours to March 29. Boris Johnson faced a backlash after savaging the PM’s deal again. 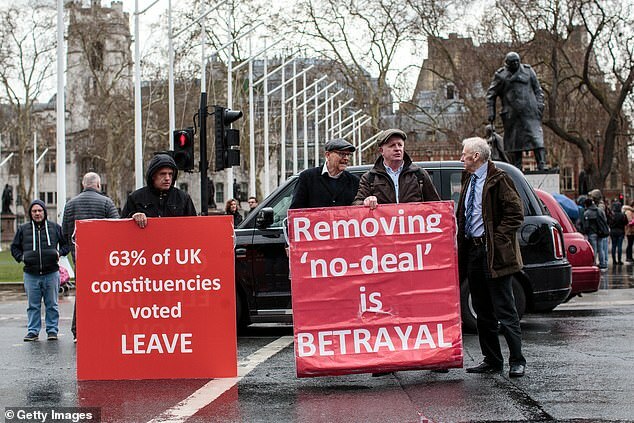 Mr Bercow’s decision was welcomed by some Brexiteers, who believe it could bring No Deal closer, and by supporters of a second referendum, who think it could result in Brexit being blocked altogether. Labour MP Angela Eagle welcomed the ruling, saying it was wrong to allow MPs to be ‘either strong-armed, bullied or bribed’ by the Government into backing Mrs May’s plan. But Mr Bercow enraged some mainstream Tories. Neil O’Brien MP accused the Speaker of double standards, pointing out that he had allowed multiple votes on plans hatched by Remainers trying to block Mrs May’s strategy. And he warned that voters would not understand why MPs were being banned from voting on a deal negotiated with 27 EU countries. 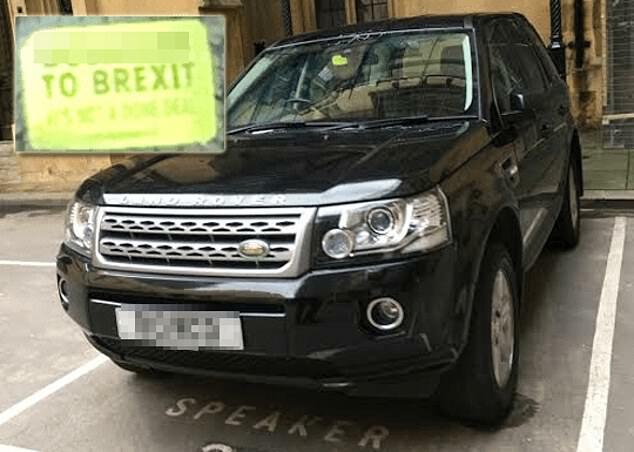 Mr O’Brien said: ‘If the Speaker were to block a solution, which many of my constituents favour, from even being discussed, on the basis of no principle other than his preferences, then my constituents will be furious with him. Mr Bercow’s ruling centred on the longstanding principle that MPs should not be asked to vote twice on the same issue in a single session of Parliament. He said he had allowed a second vote on the deal because it had changed after Mrs May secured fresh concessions from Brussels. Ministers pointed out that Mr Bercow had torn up Commons rules in January to allow Dominic Grieve, a Tory remainer, to throw another spanner in the Government’s Brexit plans. Mr Bercow last night suggested he might let MPs use an emergency debate – possibly as soon as this week – to stage votes on soft Brexit options, such as staying in the customs union and single market. Votes on emergency debates are normally restricted to ‘neutral’ motions.